October 25, 2017 -- This year's Minnies winners point to a future in which medical imaging evolves into what some are beginning to call augmented radiology -- where radiologists are assisted in their duties by a variety of technologies ranging from artificial intelligence to 3D printing to advanced visualization. For example, artificial intelligence won in two Minnies categories: Most Significant News Event in Radiology and Biggest Threat to Radiology. The contradictory victory points to the conflicting emotions that radiologists have about AI: They're excited by its potential but also fearful of its possible threat to their livelihoods. Another augmented technology, 3D printing of internal anatomical structures, won the Minnies award for Hottest Clinical Procedure. Meanwhile, an example of a new advanced visualization technique, cinematic rendering, won the award for Best Radiology Image, selected by votes cast by the Minnies expert panel and participants on AuntMinnie.com's Facebook page. But all these new technologies mean nothing if they don't materially improve the quality of patient care. 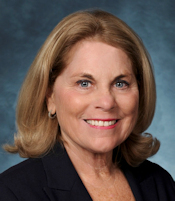 Organized radiology has awakened to the need to be more patient-facing, and this sentiment was borne out with the selection of a paper on patient-centered radiology as Scientific Paper of the Year. The 2017 Minnies winners triumphed over a field of 219 semifinal candidates in 15 categories, based on nominations submitted by members of AuntMinnie.com. To see the full list of semifinalists, click here. Are you curious about this year's winners? Check out the profiles below to learn more. A cardiologist by training, Dr. Stephan Achenbach has been involved in cardiac imaging research for 30 years. Some might be surprised that a cardiologist has won a radiology prize, given the tensions that often exist between radiologists and cardiologists. However, Achenbach believes the award underlines just how much the two groups can achieve when they work together, and it represents a victory for collaboration and for building bridges. "I am thrilled to receive the award as a cardiologist. I think it really shows that science is greater than segmentation by subspecialties," he told AuntMinnie.com. "In the end, it is about the patient; in our area of work we need knowledge from both sides, and it does not really matter which side we are approaching the patient from." The need to work in partnership with radiology is one of Achenbach's core philosophies and driving forces. He meets regularly with the chief of radiology at Erlangen, and the two departments share a CT scanner, have a joint team of researchers, and work on shared projects. He admits that differences do emerge, particularly relating to scheduling and financial issues such as billing, but both sides work hard to prevent turf battles. He conducted his first project in 1988, investigating the use of magnetocardiography in detecting premature beats that originate from the heart ventricles (PVCs, or premature ventricular contractions). This meant designing and building a special catheter -- "quite an engineering job," he recalls -- and it introduced him to MRI. Dr. Kurt Bachmann, professor and head of cardiology at the University of Erlangen, was an influential figure in those early days. During the 1990s, Achenbach conducted studies in electron-beam tomography, and he then worked with renowned medical physicist and CT pioneer Willi Kalender, PhD, and colleagues on the development of spiral CT, concentrating on improving gated reconstruction methods and minimizing radiation dose. This was followed in 2002-2003 by a year spent as a researcher at Massachusetts General Hospital in Boston. "My time there gave me an international perspective and broadened my outlook," he said. "It made me more professional about how I approached everything, and it introduced me to the U.S. ways of doing research, and showed me how professional organizations work. It also helped me with connections and gave me new skills to organize meetings and give presentations." 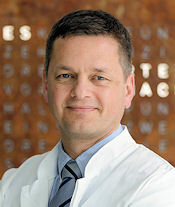 After spells at the University of Erlangen as an assistant physician, senior physician, and deputy clinic director, Achenbach became deputy clinical director in 2011 at Giessen University Hospital in Germany before returning to Erlangen in 2012 as head of cardiology at the age of only 47. He thinks Erlangen's fairly small population of around 100,000 helps foster collaboration because many people in the medical and scientific communities know each other. Another bonus is the strong historic presence of Siemens Healthineers in the region. "This brings with it great global opportunities, not pressures," noted Achenbach, who was vice president for global affairs and communications at the European Society of Cardiology (ESC) and is chairman of the Congress Program Committee for the ESC 2017 and 2018 annual meetings. "I always receive opinions, of course, but I've never ever felt any commercial pressure to carry out research in a certain way or publish something I've not been entirely happy with." His current interests include connecting CT to cardiac intervention -- particularly transcatheter aortic valve implantation (TAVI), or transcatheter aortic valve replacement (TAVR), as the procedure is sometimes known -- plus other coronary and noncoronary cardiac interventions as well as dose. He is excited about the possibilities of extending CT into the detection of ischemia rather than merely stenosis. Achenbach's main tip for young researchers is to start off with a small project and build up to more substantial studies. Having a genuine interest in research and attempting to answer a question that you really want to look at are also vital, along with resilience and focus, he said. In this year's Minnies awards, Dr. Elliot Fishman accomplished something unprecedented in the 18-year history of the competition: He won awards in three separate categories -- Most Effective Radiology Educator, Best Radiology Mobile App, and Best Radiology Image. "We do meetings, but we also do things that reach 100,000 people in countries you'll never visit in your life," he told AuntMinnie.com. "The opportunity is amazing." One new educational tool Fishman's group has been working with is Facebook Live, which he said the group tried within a week of its launch. 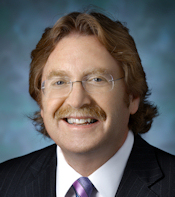 He hosts Facebook Live chats every Wednesday at noon Eastern, with sessions typically featuring Johns Hopkins personnel addressing important issues in clinical radiology. 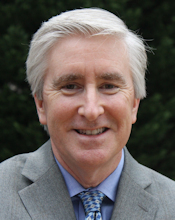 Radiology has recently warmed to the idea of fostering leadership in the specialty, but it's always been a passion for Charles Powell, PhD -- in fact, he's written a book about it. Abby's Quest is an allegorical account of a young woman struggling to learn the best way to be a leader on the fictional island of Silvan. She ultimately learns that there is no single perfect formula for leadership; the best approach is to learn from others but to forge your own path. It's an approach that Powell has taken in his own career, and one that's led to his selection as Most Effective Radiology Administrator/Manager by the Minnies expert panel. As vice president and vice chair at Emory Healthcare, he's responsible for managing the imaging operations of a network of 20 hospitals and clinics across Georgia. Powell got his start in radiology during his career in the U.S. Air Force, where he underwent training to become an x-ray technologist. He later added nuclear medicine training to his portfolio at the National Naval Medical Center in Bethesda, MD. Powell served a three-year stint as an officer in the Air Force's nuclear missile command and took early retirement from the military after the First Gulf War. He entered civilian life managing radiology operations at a small hospital in Swainsboro, GA, a job that soon expanded to include laboratory and purchasing operations. That position led to a job managing medical imaging operations at hospital group HCA for four years, until in 2002 he joined Emory as a radiology administrator. Powell has been working his way up through Emory for the past 15 years with positions of increasing responsibility; this year he was promoted to vice president of imaging for Emory Healthcare, a job that gives him a seat at the table where leadership decisions are made. Along the way, he found time to earn a doctorate in leadership and change at Antioch University, as well as to write Abby's Quest, for which he's looking for a publisher. At Emory, Powell was instrumental in launching a radiology leadership academy nine years ago that brings Emory radiologists, technologists, and other personnel into a nine-month program designed to foster good leadership. The program includes a weekly eight-hour class, directed reading, and a group project, with about a dozen individuals participating each year. Powell believes strongly that a true sign of leadership is when an individual deliberately tackles challenges as opposed to staying within his or her comfort zone. In radiology, a technologist with leadership potential would always try the hardest exams, while others would stick to simple procedures. "If people don't put themselves out there, they don't learn through trial and error, and that's true in physician practice as well," Powell told AuntMinnie.com. "They should take on things that may be a reach, but even if they fall down, they will grow through it."